In 2006 Von der Heyden Group purchased three functional office and warehouse buildings in the top strategic location in Munich, on the border to Bogenhausen and Steinhausen, at the beginning of the highway A94, providing access to the Munich Fair, with the aim to change the master plan of the city. 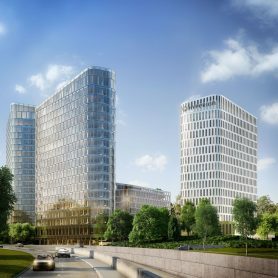 Bavaria Towers: the White Tower and the Blue Tower (investment value: Euro 154 million) form part of the most spectacular development projects in the Bavarian capital in a strategic location in Munich. 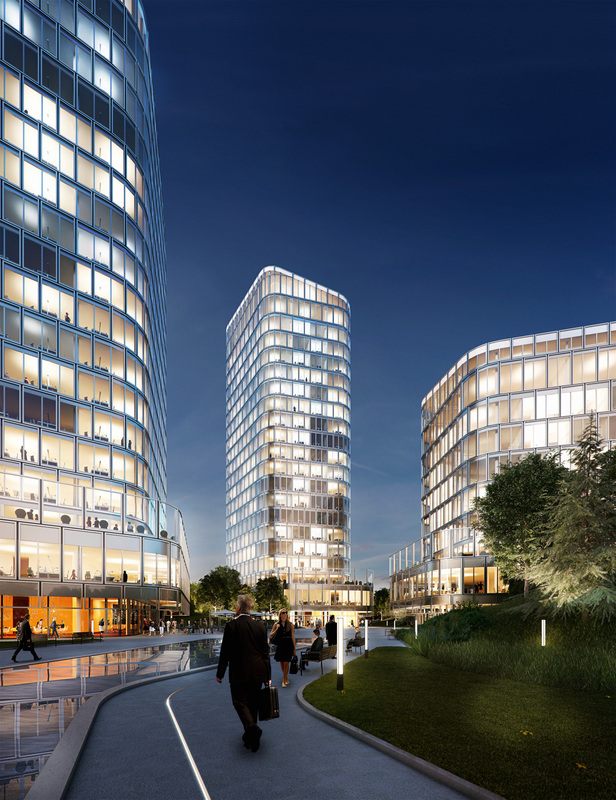 Situated in the Bogenhausen district on the eastern edge of Munich, Bavaria Towers Project create a stunning new gateway to the city – offering businesses a unique opportunity to claim a spot on one of the major thoroughfares into the regional capital. 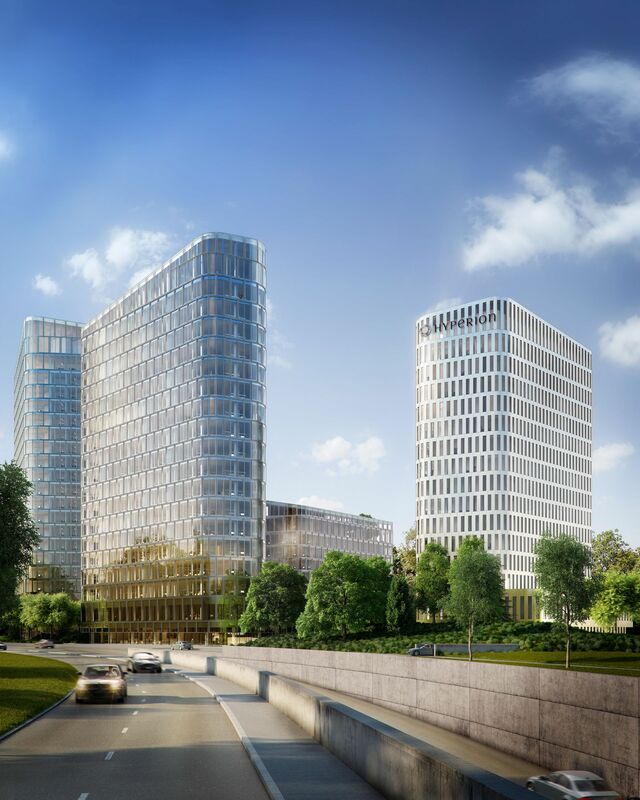 The Bavaria Towers building complex is designed by star duo from Madrid, Nieto Sobejano Arquitectos, and will be comprised in total of four pentagonal high-rises that makes 77.651 sqm of total gross rental area, two central underground car parks with a total of 960 spaces for cars, including places for electric cars and places for bicycles with changing rooms and showers. Bavaria Towers complex consists of: Blue Tower (72.3m high, 24,347sqm, 300 parking spaces), White Tower (53.6m high, 15.150sqm, 140 parking spaces), Sky Tower (83.6m high) and Star Tower (46.1m high). Covering a total area of app. 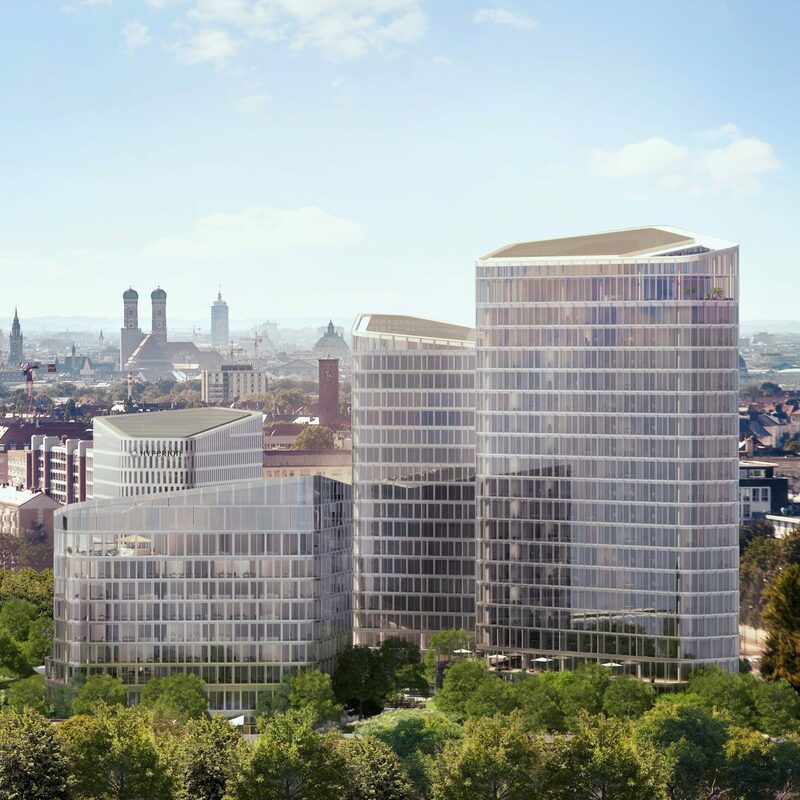 11,000sqm, the plot is the property of Bogenhausener Tor Immobilien GmbH, initiated by the Von der Heyden Group and co-owned with Luxembourg based Atlant Capital. 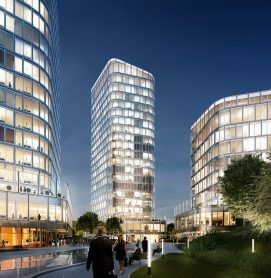 The Munich-based Bayern Projekt GmbH is tasked with project development and representing the interests of the owners and also representing Zurich Insurance, the owners of the future Sky Tower and Star Tower. 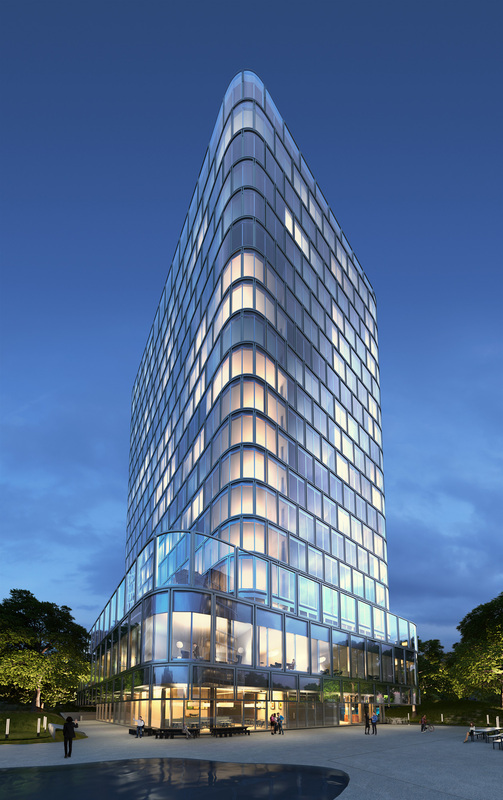 The White Tower and Blue Tower are currently being constructed and are to gain certification in accordance with the LEED Gold sustainability standard. The General Contractor is PORR Germany. The fixtures and fittings in Bavaria Towers combine leading-edge materials, minimalist design and state-of-the-art building systems. The ensemble offers the perfect environment for innovative enterprises, supporting tomorrow’s world of work. 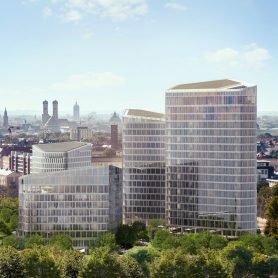 The 54m high White Tower building was already rented before construction to H-Hotels AG that will operate a four star Ramada Hotel for 20 years with 345 state-of-the art rooms and panorama suites with a large spa and fitness area on the 14th floor. 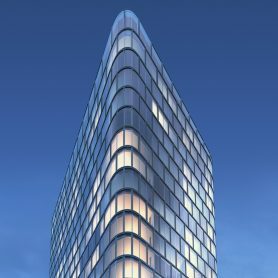 Furthermore, in December 2015 shortly after the start of construction, the White Tower building was sold to Swiss Life Insurance Group and is one of the company’s largest hotel transactions. 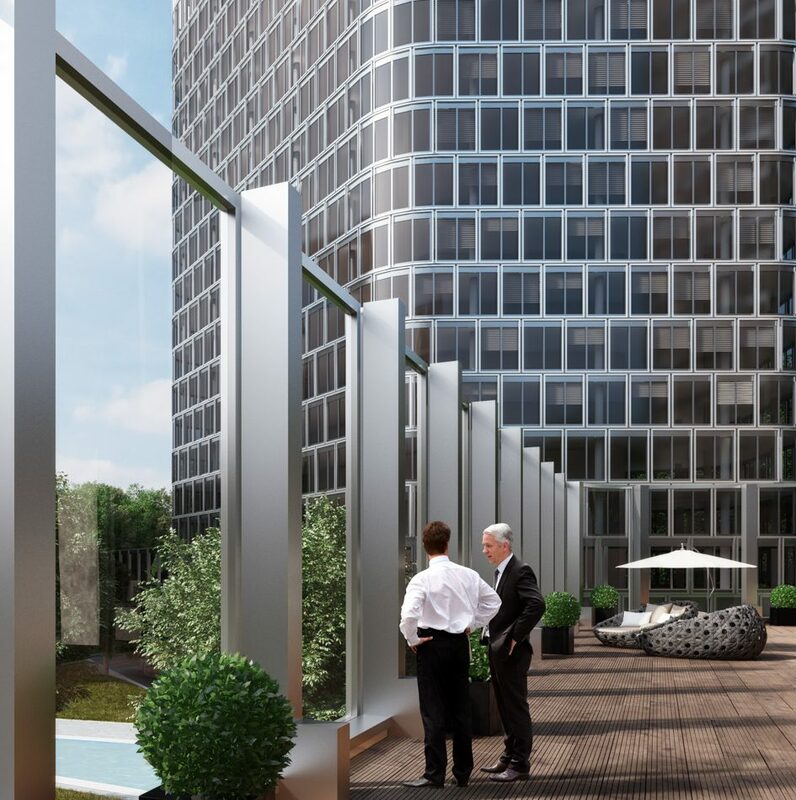 Bavaria Towers will offer an impressive panorama view and breath-taking views over Munich and the Alps beyond. 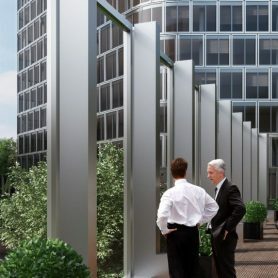 Planned end of construction for the White and Blue Towers is December 2018.